Desk TOP: MDFwith melamine,PVC edge. 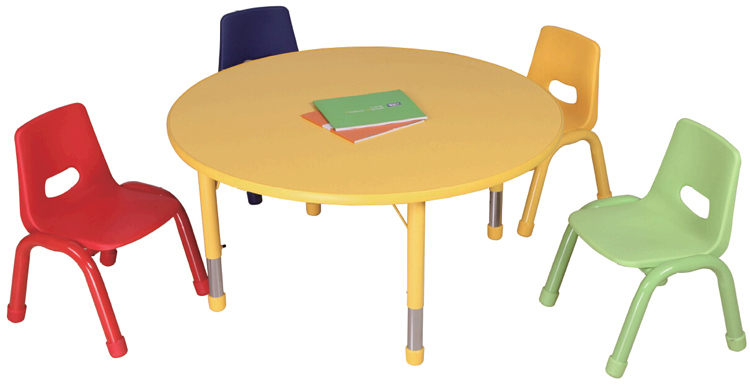 Kindergarten childrens study table and chair sets, height adjustable and red, blue ,green, yellow, can be option. 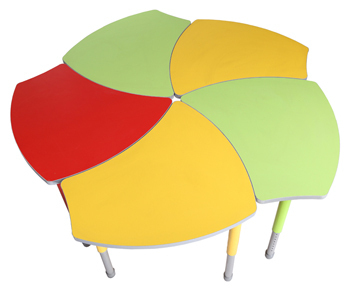 Colorful options create a happy and effective learning environment for kids in kindergartens. Robustness of table and chair legs provides the safety environment as well. Safety for kids, all round shaped corners prevent any potential collisions when playing and learning. And the E1 standard board makes the pollution of formaldehyde emissions 0.5mg/L to less than or equal to grade environment-friendly material, harmless to the human body E1 grade particle board is used.